KPSC Jobs Recruitment Notification 2018.Karnataka Public Service Commission inviting applications for the positions of Assistant Conservator of Forest.Interested and Eligible candidates can apply for the positions. Total number of vacancies to be filled in Karnataka PSC is 24 for Assistant Conservator of Forests. Candidates those who have done B.Sc forestry graduation / bachelor of science in agriculture can apply. Minimum age for applicants to apply is 18 years, maximum age for general is 30 years, OBC is 33 years and SC/ST is 35 years. Through computer based recruitment test applicants will be hired. 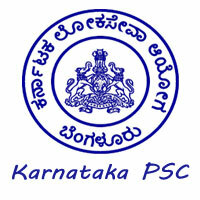 Mode of applying for KPSC recruitment is through online. The online portal link will be active from 10th September 2018 to 09th October 2018.
http://www.kpsc.kar.nic.in/ is the link for contenders in order to apply.